Josh McGuire didn't see his exit from the Broncos coming, with the Cowboys pulling off a Fijian coup to prise the Queensland Origin star from Red Hill. The Courier-Mail can reveal the machinations behind McGuire's shock off-season move to the Cowboys as he prepares for Friday night's Queensland derby against the Broncos club he represented for 10 years. 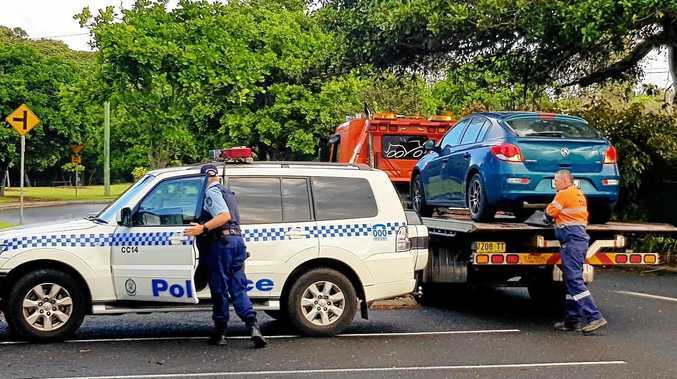 McGuire was holidaying with family in Fiji last November when he learned of high-level talks between the Cowboys and Broncos to broker an immediate release for the Australian lock. 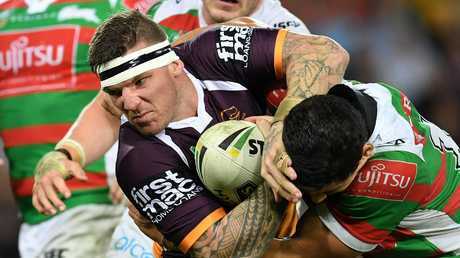 The Maroons ace had completed just one season of his four-year Broncos contract when salary-cap pressures at Red Hill triggered the prospect of a shift to the Cowboys club that broke Brisbane's hearts in the 2015 grand final. McGuire fielded phone calls in Fiji from his management, Broncos powerbrokers and the Cowboys to discuss a move he never envisaged. Under a compensation deal, it is understood Brisbane agreed to pay an annual subsidy of around $100,000, meaning the Broncos are ostensibly paying part of his Cowboys salary as McGuire looks to plot their downfall at Suncorp Stadium. As a Bronco, McGuire played 18 games against the Cowboys for nine wins and nine losses. 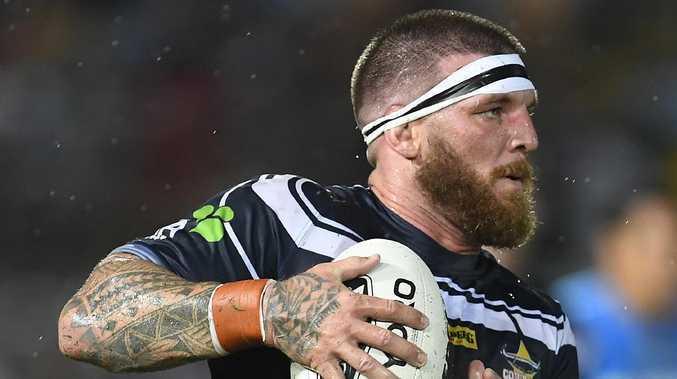 Now he will run on to Suncorp Stadium for the first time in Cowboys colours insisting there is no bad blood with a club that was happy to release him to their Queensland arch-rivals. "It's just football, it's my job," McGuire said when asked about confronting his former Broncos teammates. "I have been playing football for a long time. I know what to do and have played big games before. "I'm still good mates with everyone (at the Broncos). There is a mutual rivalry, but I'm just looking forward to playing good football." McGuire can be a polarising figure. The 29-year-old was suspended last season for pulling the hair of Bulldogs rival Adam Elliott, but the Cowboys have lauded the harder, aggressive edge McGuire can bring to their forward pack. McGuire was at it again last week, firing up at Dragons players in defence of teammate Jake Granville, but Cowboys skipper Michael Morgan is adamant he won't take the bait against his former Broncos colleagues. "`Moose' is definitely excited for it," Morgan said. "I don't think he will go into the game with that mindset (to sledge the Broncos). "Everyone knows the type of player he is, he can be quite aggressive and the only time he gets verbal was when he was sticking up for Jake (Granville). "If that happens, we are glad to have him."